Cyber Monday Special! 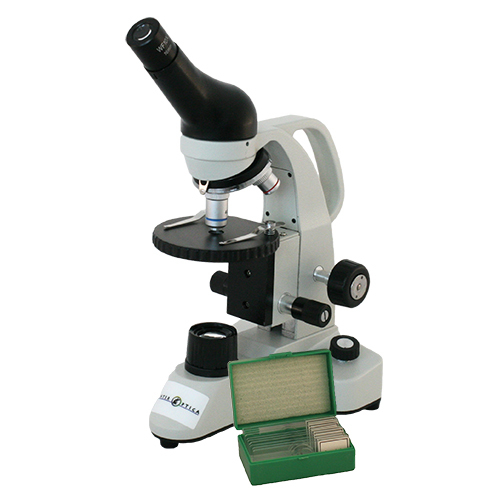 Get a free prepared slide kit ($22 value) with the purchase of any microscope. 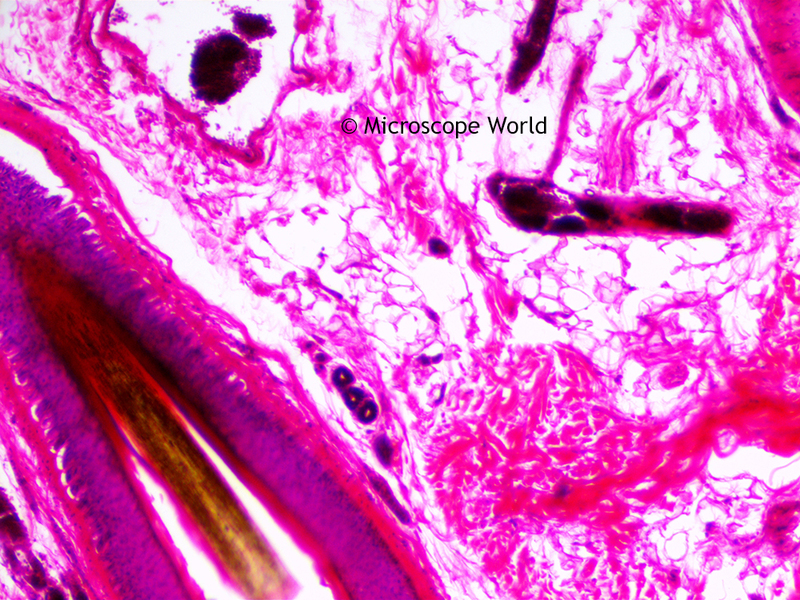 Click here to view microscope gift ideas and the Cyber Monday special. 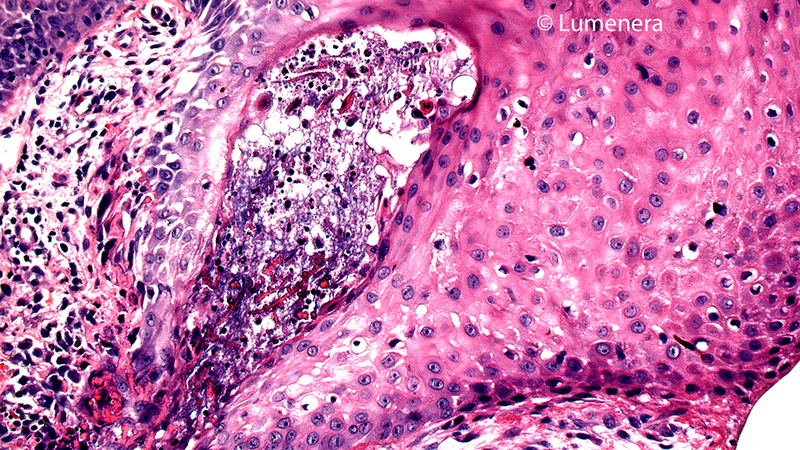 Cellular Neurothekeoma appear as a painless skin mass or nodule that are occasionally painful to the touch. 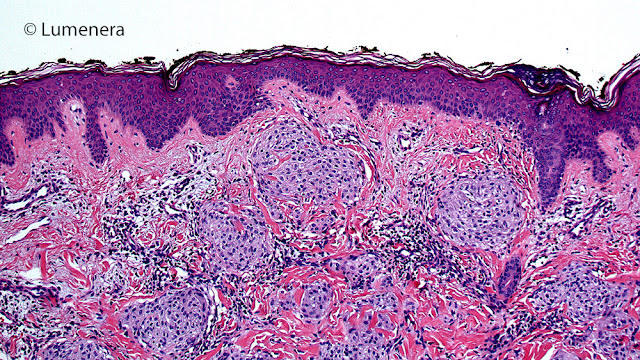 The skin over the nodule is pink, firm and usually intact, with a size between 0.5 - 2cm. In the majority of cases the nodules do not cause any symptoms. The most common location of Cellular Neurothekeoma nodules is the head and neck region, however the tumors can appear anywhere on the body. Cellular Neurothekeoma affects both males and females, but is more common in females and it commonly occurs in young individuals in their mid-20s. Treatment for Cellular Neurothekeoma is complete surgical removal and this typically cures the condition. If the tumors are not completely removed they may recur after a period of time, hence it is important to completely remove them through surgery. The images below of Cellular Neurothekeoma were captured with a lab microscope using the Lumenera Infinity 2-5 CCD 5 megapixel camera. Cellular Neurothekeoma captured with the Infinity 2-5 microscope camera at 100x. Cellular Neurothekeoma captured with the Infinity 2-5 microscope camera at 200x. 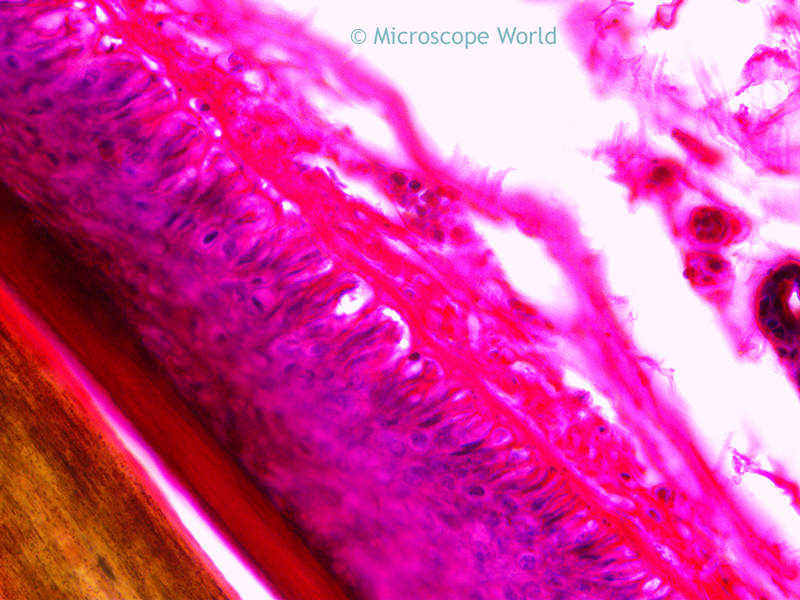 For more information on microscopes or microscopy cameras contact Microscope World. Pathologists study and diagnose disease through examination of organs, tissues and bodily fluids. 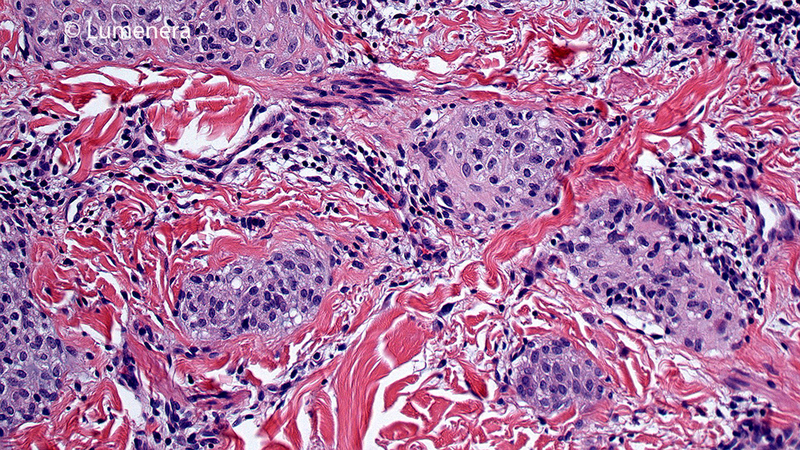 Digital pathology is the practice of digitizing glass slides and managing the resultant information for later educational, diagnostic, and analytic purposes. 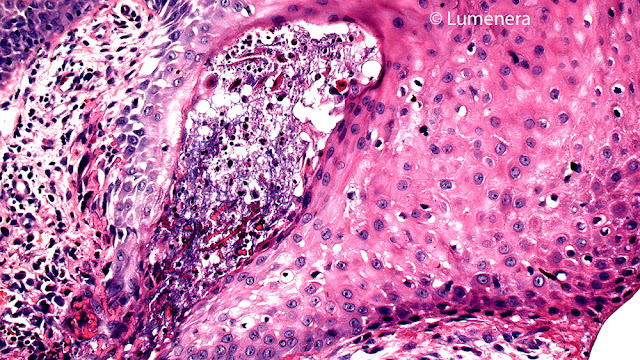 Digital pathology captured images are used for documentation, archiving, teaching, publication and consultation. 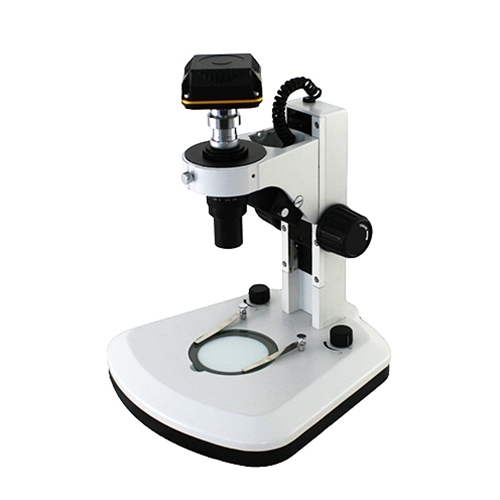 Microscope digital cameras used in pathology applications use the following features to produce the best results. Pathology is practiced by identifying and acting upon visual cues. In contract to digital radiology, which is confined to grey-scale images, color plays a crucial perceptual role. For this reason, colors captured by the camera should match human perception as much as possible. Additionally color capture should be as consistent as possible from one capture to another. 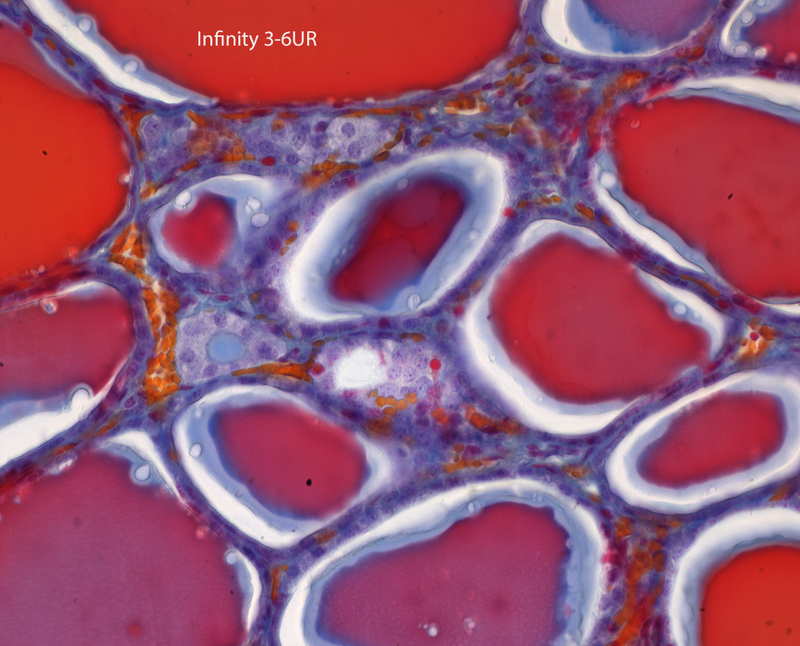 The fidelity and consistency of color capture is paramount in digital pathology applications. One key consideration is the means by which color wavelengths are filtered prior to being captured by the image sensor. Crucial hardware design choices, such as whether to use mosaicing filters or three different pixel sensors for each RGB color, can affect color quality. In terms of software, reproduction algorithms designed for specific types of pathology must also be carefully designed and tested. Color quality and consistency are also affected by the monitor used to display the resulting image. Microcystic Adnexal Carcinoma- Perineural captured with Infinity 2-5 camera. Every digital microscope camera suffers from a degree of noise that degrades the image. 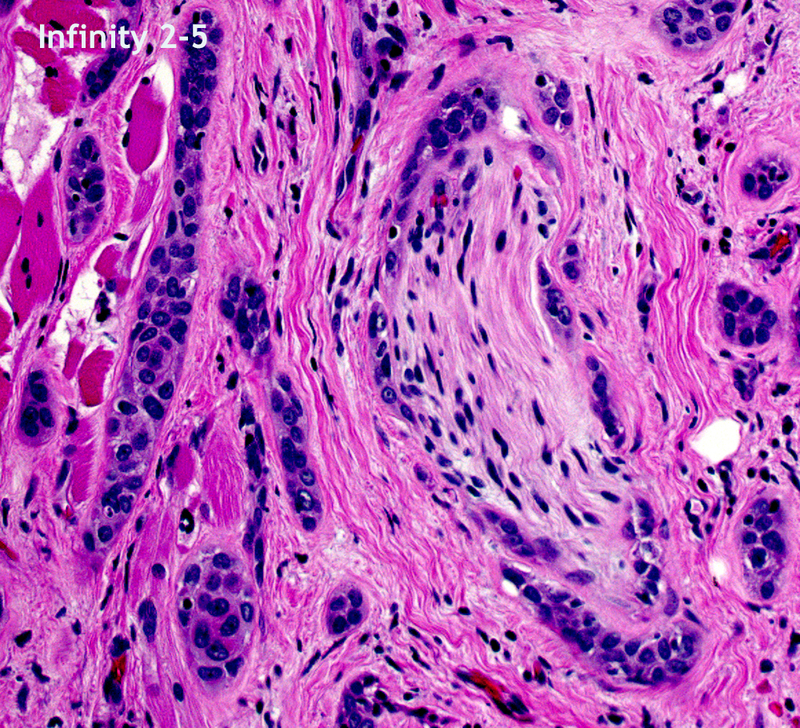 Due to the stringent quality standards of digital pathology, cameras must exhibit a high signal-to-noise ratio in order to produce images acceptable for medical diagnosis. Camera noise can be divided into fixed-pattern noise or temporal noise. Fixed-pattern noise is produced by variability between pixel to pixel. Using high-quality components and a careful production process can reduce this variability as can proper calibration. Temporal noise is produced during the image capture process. One source is optical (or shot) noise, which is a fundamental and unavoidable property of photos. It is possible to mitigate shot noise through the use of software post-processing algorithms. Another source is electronic noise, produced by the electronic circuitry and semi-conductors during the capture process. Aspects such as size of the photodetector surface, integration time for linear sensors and component quality all play a role. The dynamic range of a camera refers to the range of light intensity that it can capture in one frame. Cameras still struggle to produce low noise images that can match the dynamic range of the human eye. In this specific application, especially when fluorescence specimens are used, it is crucial that both low- and high-intensity signals are captured and displayed to the medical professional. The fundamental electronic circuitry of an image sensor is one key factor that can significantly impact dynamic range. Another key factor affecting dynamic range is the size of individual pixels. While smaller pixels do increase spatial resolution, they also reduce the number of photos hitting the image sensor, which limits the dynamic range of the resulting image. Ilium Brownii captured with Infinity 3-3UR camera using 10x objective, 10ms exposure, 1.2x gain, 1.0 gamma. Sensitivity is related to dynamic range and is the lowest light intensity a camera can capture where the amount of noise is still less than the true light signals. Human eyes have lower sensitivity than cameras, which explains why a flash is needed for consumer photography conditions that may seem well-lit to the human eye. High sensitivity is desirable in digital pathology. In particular, fluorescence imaging, with its frequent low-intensity signals, has demanding needs for high-quality images under challenging conditions. Physical components of the camera can affect sensitivity, as can the size of pixels since larger pixels capture more photons. A high spatial resolution, meaning the smallest details the imaging system can capture, is a desirable feature of most imaging applications. However, most digital pathology applications, such as certain types of tissue processing, necessitate stringent resolution demands for visual cues and this can push against the theoretical optical resolution limit of visible light. The size of the camera sensor affects how much of the microscopy field of view the pathologist can capture at one time. 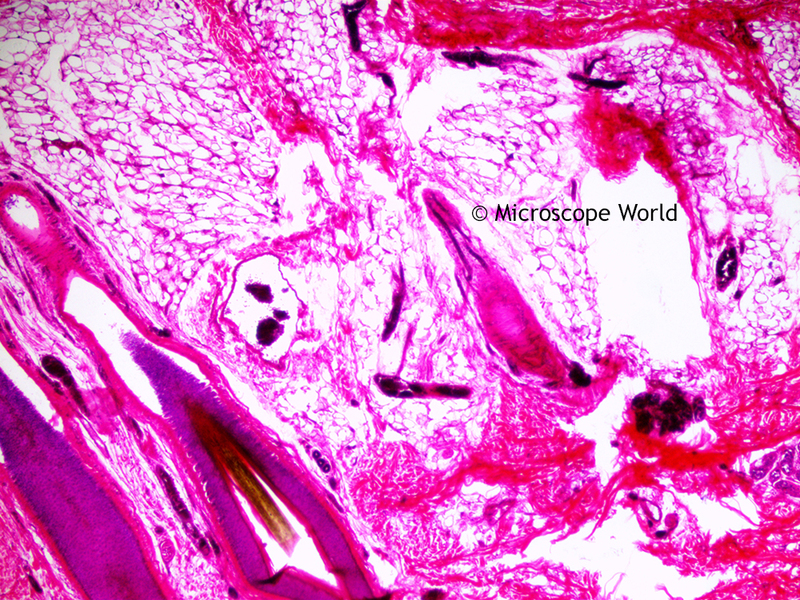 Thyroid gland of a sheet captured with a 40x objective lens using Infinity 3-6UR camera. Whole-slide imaging requires high frame rates (90 fps or higher) to keep the digital scanning process as fast as possible. In order to match these fast frame rates, the image sensor quality, including many of the factors explained above, must be high enough to perform effectively under these quick conditions. In order to allow a fast transfer of the image data, the camera must be equipped with a high-speed data interface. 5 megapixel Infinity 2-5 CCD camera has a peak quantum efficiency of 42% and a dynamic range of 58dB. Higher performance 3 megapixel Infinity 3-3UR low noise CCD camera and has a peak quantum efficiency of 61% and a dynamic range of 68.8dB. High resolution 6 Megapixel Infinity 3-6UR CCD camera has a peak quantum efficiency of 66% and dynamic range of 68.6dB. Quantum efficiency is basically how efficient a camera is at capturing available light, meaning a higher quantum efficiency is desirable. 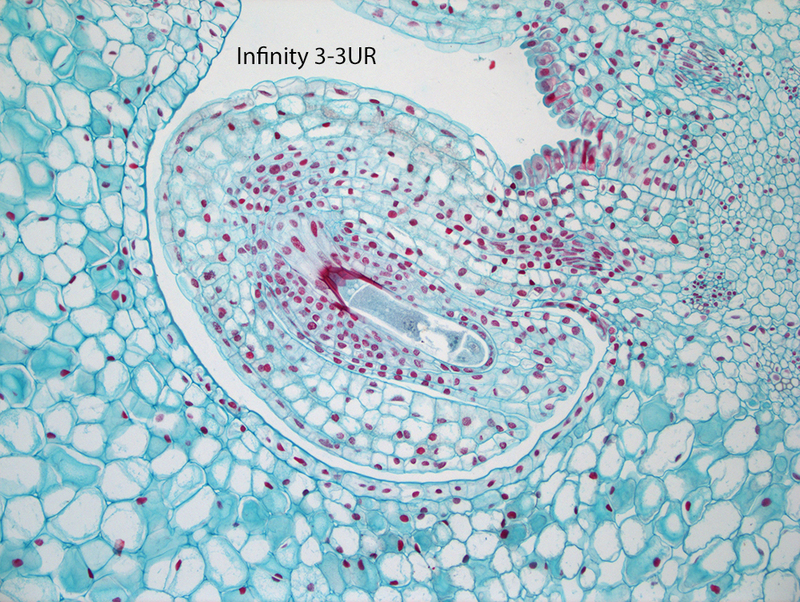 All of the above microscope cameras have a maximum bit depth of 14 bits and output color-accurate raw images. View all Lumenera microscope cameras here. For more information on digital pathology and setting up your microscope and camera configuration, contact Microscope World. Amber is an organic gemstone that is formed from the hardened resin of ancient pine trees. The hardening process of Amber is known as polymerization, which fossilizes the resin over time and makes it solid and sturdy. Amber is formed from viscous, sticky resin, and therefore commonly contains inclusions that got stuck in the Amber and remained there when it hardened. 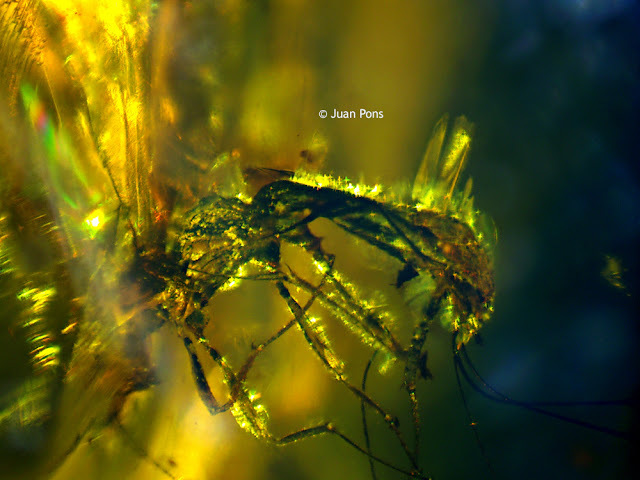 These inclusions often include insects or plants, with the most well-known being mosquitoes. 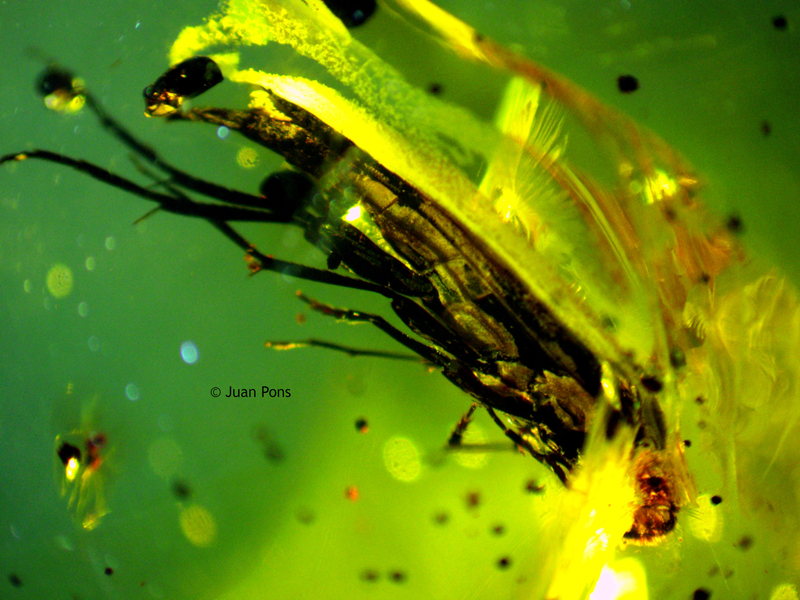 Amber with well-preserved organisms frozen internally are highly prized. 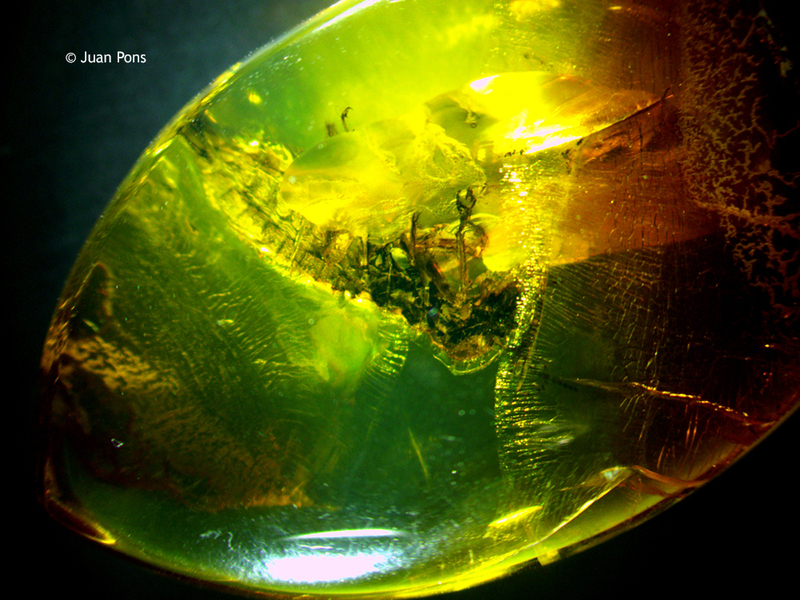 Juan Pons of National Treasures of Mexico mines for amber in Chiapas, Mexico, a southern Mexico state bordering Guatemala. 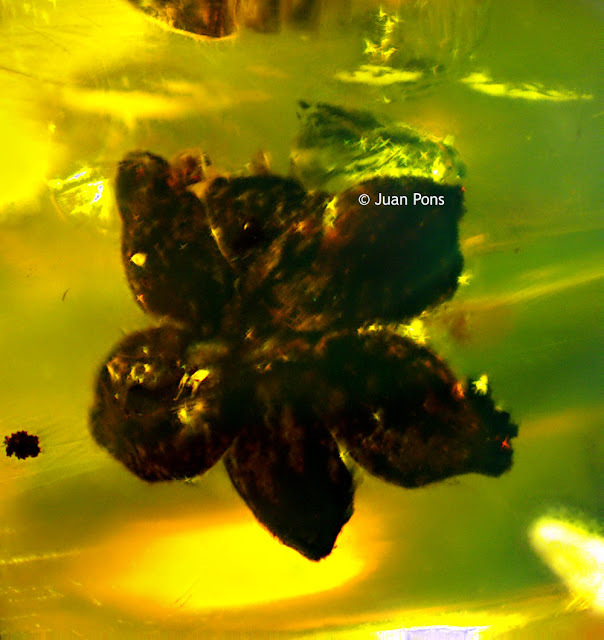 Deep in the mines of Chiapas, he locates pieces of Amber, many of which have inclusions of insects and flowers that are hundreds and even thousands of years old. The images of amber shown below were captured using a macro zoom lens microscope system with the DCC2 2 megapixel CCD microscope camera. A feature on the software known as extended depth of focus was used with several of the images in order to capture in-focus images at different depths of field and then merging them into a single crisply focused image. Amber piece with a flower encapsulated in it under a macro zoom lens microscope. Insect inside amber captured under the microscope. 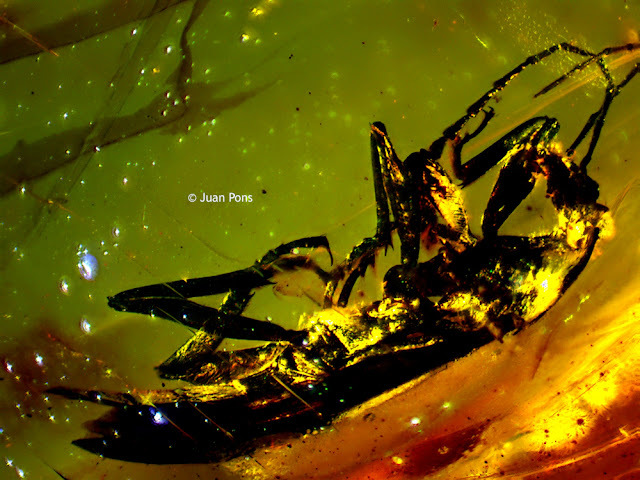 Amber captured at 60x under the microscope using extended depth of focus with the DCC2 microscopy camera. Amber captured at 78x under the microscope using extended depth of focus with the DCC2 microscopy camera. 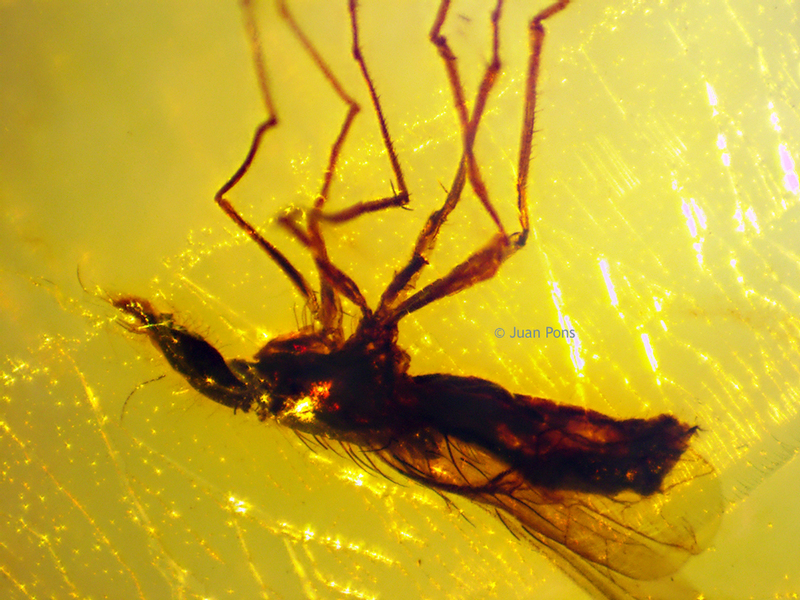 Amber captured at 90x under a macro zoom lens microscope. 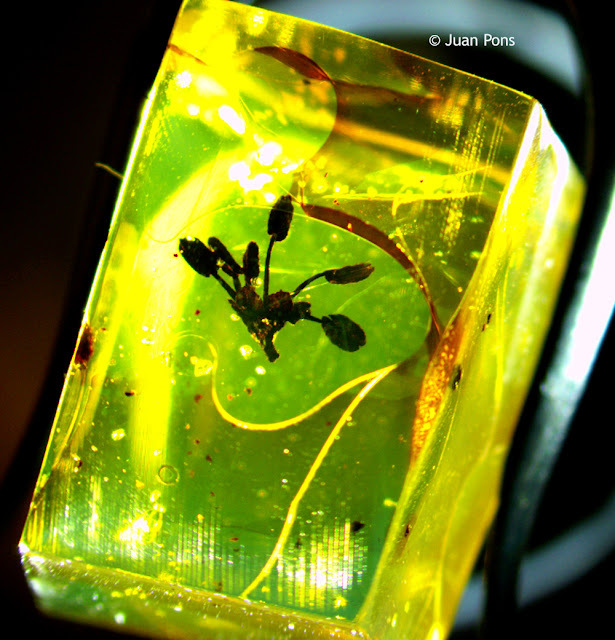 Flower inside amber under a macro zoom lens microscope system. 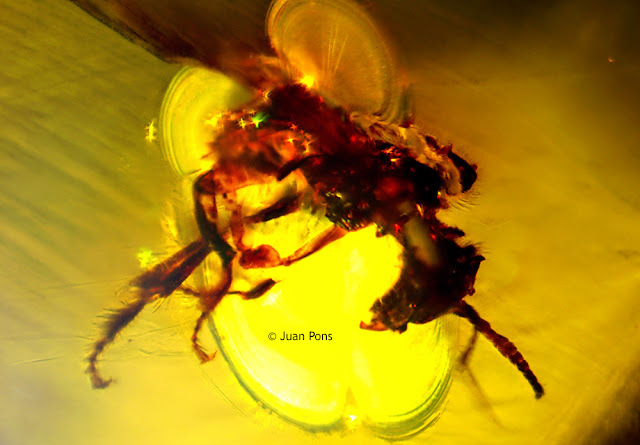 Insect in a piece of amber captured at 17x under the microscope. Insect in a piece of amber captured at 42x under the microscope. For more information on amber, contact Juan Pons by email or phone 831-227-6398. For more information on microscopes, microscopy cameras or extended depth of focus software contact Microscope World.